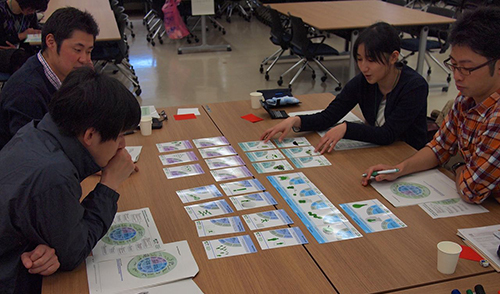 How do I develop in areas required for the next step of my career? 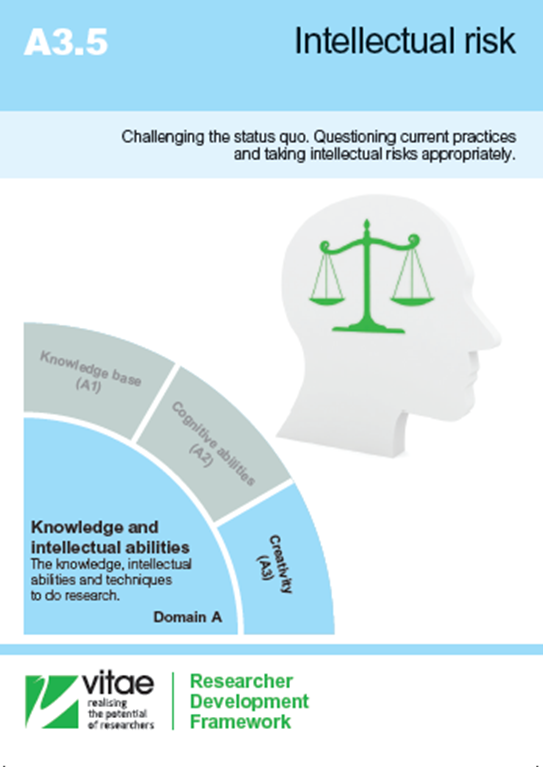 How do I give evidence of my skills to employers? 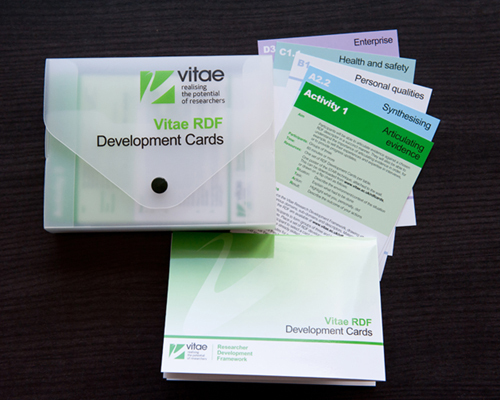 Each set of cards consists of 82 laminated cards including a folded A4 image of the RDF, 63 RDF descriptor cards (in A6 postcard size), 12 sub-domain cards and six suggested activities. 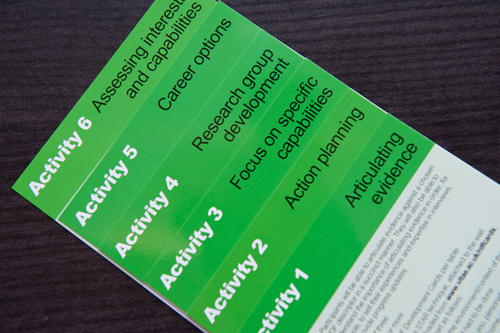 If you don't have a set yet, you may order the cards by completing our form. 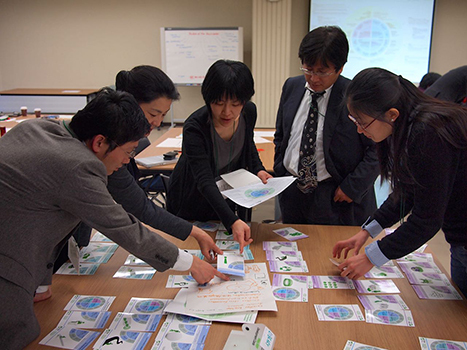 If you are based at one of our member organisations, you will additionally qualify for a 10% discount on your order. Contact us for international quotes for postage. 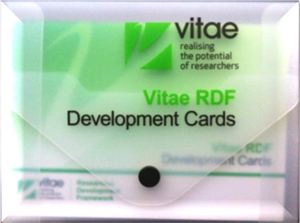 The Vitae Researcher Development Framework (RDF) is an approach to researcher development, which aims to enhance capacity to build an international workforce, develop world-class researchers and build an international higher education research base. 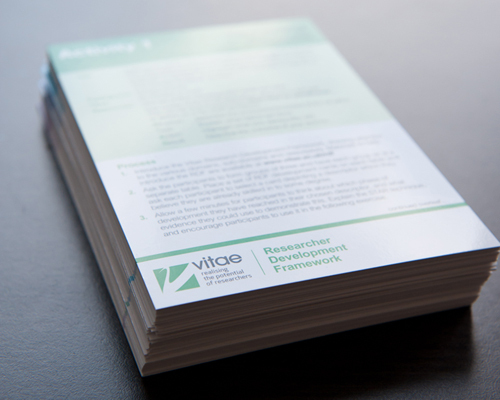 The Vitae Researcher Development Framework was developed by and for researchers, in consultation with the academic, public and private sectors. 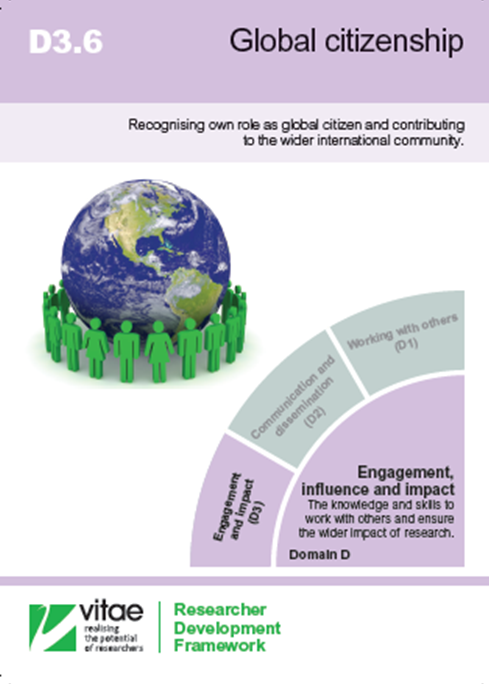 We encourage you to share experiences of using the cards and to help to develop this web page as an active resource for all users. Please contact us.